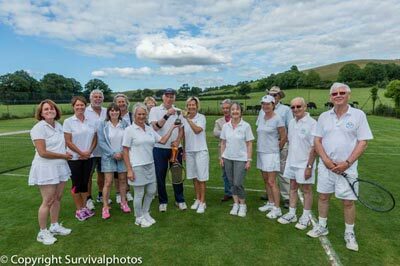 Welcome to the Cattistock Lawn Tennis Club website. Welcome to Cattistock Lawn Tennis Club! We're a family friendly, community orientated club based in the beautiful West Dorset Countryside. We welcome all abilities; and new members are especially appreciated! 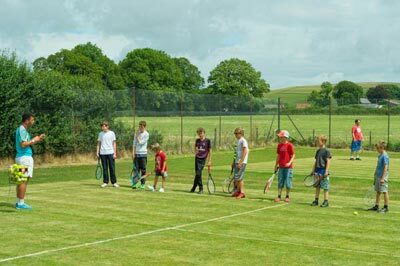 Come and enjoy playing tennis on grass courts set in an idyllic relaxing location. Whether a member or a visitor, you can make use of these lovely facilities. This is a great way to stay fit and make new friends. We are looking forward to another great season of tennis. Club sessions are held on Tuesday evenings from 6pm and Saturday afternoons from 2pm. Junior Coaching is available on Saturday mornings from 12.15pm. Courts are available at other times to members and guests throughout the season. For more information, please call the Membership Secretary, Rosie Barfoot on 01305 261540. Junior Tennis Coaching is available at 12.15pm on Saturdays. Please contact Rachel Smith on email rachcsmithy@gmail.com or phone 07848 819194. This is a great opportunity to get young people involved in the sport. DATE FOR YOUR DIARY IS SATURDAY NOVEMBER 17TH FOR A RACE NIGHT. Tickets are only £6 each to include a lovely picnic hamper supper. Available in advance from Rosie on 01305 261540 or Andrea on 01300 321476. Come along for an evening of fun, food and flutter. For more detail see Wessex FM's What's on Guide.